Who doesn’t love the look of a beautiful well stocked craft room? (nobody is the answer… lol) I could browse them for hours on end while scrolling Pinterest. The reality is though most of us are limited on space and on a budget when stocking our rooms/desks. 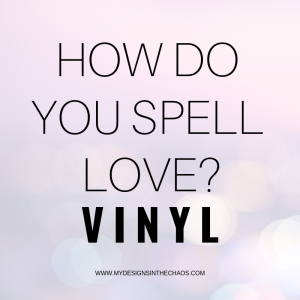 So then the question becomes… What is the essential vinyl that we really need for our craft room? 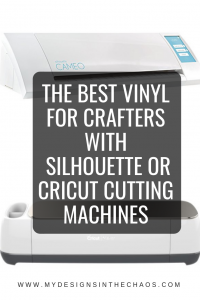 I’m going to share my thoughts on the vinyl that every crafter (beginning or experienced) needs to ALWAYS have on hand. It will make those last minute projects easier and less stressful. PLEASE NOTE THAT THIS POST CONTAINS AFFILIATE LINKS WHICH MEANS THAT AT NO EXTRA COST TO YOU WE EARN A SMALL PERCENTAGE WHEN YOU SHOP THROUGH OUR LINKS. I’m sharing with you my list of the essentials. 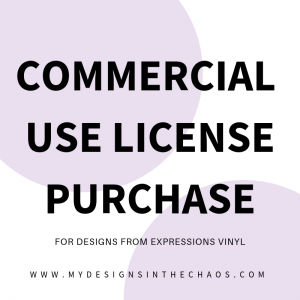 The vinyl that you should ALWAYS have on hand and ready for any sort of project. While yes it would be amazing to always have everything, these are essentials that every crafter needs in their stash. White is a classic color that goes with everything. It is great for guys or girls and it stands out on most backgrounds. I also love the fact it is easy to match. You definitely want to have some adhesive for decals. It is great for labeling school folders, drawers to store things in at the house, and even personalizing water bottles. Check out all of our favorite blanks here. In additional to the white adhesive you will also want some white HTV. (curious what HTV is check out this post where we explain all the crafting lingo) I have found that white HTV is great for backpacks, grey and black shirts, and even on last minute gifts that need some personalizing (like a pillow cover). You probably could have guessed this one was going on the list. I use both black adhesive and HTV all the time. I also save all my scraps so I never run out! It happened to me once and I promised I would let it happen again. I never want to put myself through the frustration of having to drive out to the store at 8:30pm at night, buying vinyl I wasn’t 100% happy with and full price none the less. I’m now determined to always have some of both types in my stash at all times. Now, you probably guessed that white and black would have been a staple but school colors are also always at the top of the list for last minute projects! It is super important to have not only adhesive and HTV in your school colors but you need glitter! Think personalizing bows, mom spirit shirts, and even putting names on sports bags and gear. Here are some times I have needed school colors…. Just a little something you needed to throw together for the team. With this one think not only about your favorite color but also who will you be crafting for? For example my kids favorite colors are yellow, blue, and green so I always know if they ask for something I will need one of those colors to use. So this one is going to be different for everyone but pick out a couple colors that are favorites and make sure to pick it up in HTV and Adhesive because you just never know. Also if you are a glitter person than grab that instead. You have to make that choice here but definitely pick colors that you and the people you will be crafting for love. Now this one is optional. If you are big sports fan family then you don’t want to skip this but if you (or your family) don’t have favorite teams then you can easily pass. For example if your favorite team is the Astros then you want to make sure you get orange and yellow vinyl but get a coordinating navy blue shirt. Navy blue vinyl on a navy blue shirt would defeat the purpose. So pick out your favorite teams and make sure to have a sheet or two with those colors because you just never know when you might get a last minute invite to tailgate or to watch the game. Use your best judgement on this one because it will differ for everyone. This one is also optional but for me I love having the choice of a few patterns in my stash. If you have the space to store both HTV and Adhesive then get a mini pack of both. If you don’t, then think about the types of projects you plan on making the most and get the vinyl that matches. Check out when to use what type of vinyl here so you can make sure you are prepared. Check out all of our favorite crafting storage solutions here. Now this one is only a must if you plan on doing signs. Oramask is the stencil material that I always recommend you use if you are crafting a painted sign. It is designed to work as a stencil so is much easier to remove after the project is over and I always get beautiful crisp lines. Check out the growth chart we made here with it. The material is also partly see through which can make it much easier to work with. Once I tried it I never stencil with anything else now… I have loved the results just too much! Even though transfer tape isn’t a type of vinyl, it is absolutely something you need to have on hand at all times. Especially if you plan on working at all with adhesive vinyl or creating signs of any type. We explain all about the different types of transfer tape here in this post. If you can only get one type of transfer tape I absolutely love paper transfer tape. There are two kinds that are my go to…. this one and this one. Check out more funny craft memes here. Now this is just mini-list of things that in my experience I have found I use the most of in last minute projects. With four kids I always am having someone needing something for an activity, sport, or gift and typically with this stash I’m covered. I don’t know about you but sometimes I get so wrapped up in all the pretty vinyl that it ends up just sitting in my stash. The ones I listed above though constantly get used and replenished. So rather than buying all the things and never using them, stock your stash with items that will get the most use. Think about what you plan on making the most of and then add a little bit of variety in your stash for those last minute projects. It is always the worst when you want to make something, or your kids ask you to create something for them and you don’t have what you need on hand. Check out all the basic supplies I think you need in your stash here. and shop my favorites here. 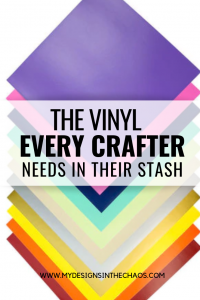 Now, tell me below… what is your must have item in your vinyl crafting stash? Until next time happy crafting cutting and chaos!